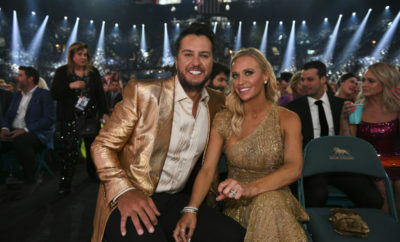 This award is presented to an outstanding individual male vocalist in the country music industry who gains either initial fame or significantly greater recognition, through efforts surrounding the promotion of a debut or sophomore album, during the prior calendar year of November 2014 to November 2015. The artist must have success in digital media; in addition to having charted a single record in the Top 40 and/or selling 100,000 album units. Brett Eldredge was nominated both in this ‘New Male Vocalist’ category as well as the ‘Male Vocalist of the Year’ category this year. Eldredge has recorded two studio albums and spent the first half of 2015 touring with Darius Rucker on the “Southern Style Tour” and then teamed up with Thomas Rhett to co-headline the “CMT: Suits & Boots Tour”. Eldredge is known for his down to earth personality and hilarious snapchats (add BrettEldredge on snapchat if you haven’t yet!) as well as his soulful passion and amazing vocals. His current single, “Drunk on Your Love” is currently sitting at number 4 on the Billboard Hot Country Songs chart. Eldredge is joining Keith Urban on his “Rip Cord World Tour” this summer. Chase Rice has quite a history. Starting out as a college football star at the University of North Carolina, he also had stints working as a Nascar pit crew member and was runner up on the TV show ‘Survivor: Nicaragua’ before he realized that his heart was in making music. Rice first made a name for himself in the music indusrty when Florida Georgia Line’s single “Cruise” reached #1, as he co-wrote this song. Rice has always done things his own way, starting off with creating his own record label Dack Janiels and gaining popularity over social media. He was selling out venues before even signing his first record deal or having a song on the radio! Fast forward a few years, radio hits like “How She Rolls”, “Gonna Wanna Tonight”, and “Ready Set Roll” have helped Rice earn a name for himself and now, recognition from the Academy of Country Music. His current single, “Whisper” is working its way up the charts. Chris Janson broke out into the country music scene in 2015 with his #1 hit, “Buy Me a Boat”, but has a decade of songwriting and performing under his belt. Janson’s songs have been recorded by artists like Tim McGraw, Frankie Ballard, and Justin Moore. Janson’s new single “The Power of Positive Drinkin’” is currently sitting in the top 40 on the charts as he joins Blake Shelton on his 2016 tour. This story of over-night success is one that Janson certainly worked hard for; he started off signing a year-long contract to play 4 shows a day at Tootsie’s Orchid Lounge on Nashville’s Lower Broadway. That hard work ethic, passion, and drive is what caught the attention of Warner Music Nashville, with whom he signed in 2015. Chris Stapleton was a name that many had not heard of before his phenomenal performance and duet with Justin Timberlake at the 2015 CMA Awards. Stapleton has a beyond impressive list of songwriting credits to his name, including 5 number-ones recorded by other artists. Stapleton released his debut album (as a solo artist) in May of 2015, earning him 3 CMA nominations, all of which he won! He recently acquired 4 Grammy nominations, taking home both ‘Best Country Album’ and ‘Best Country Solo Performance.’ Stapleton swept this year’s ACM nominations, with ‘New Male Artist of the Year’ being only one of the six total! Thomas Rhett was previously a nominee for the ‘New Artist’ category last year, but an artist may be a nominee two times in a three-year period for this category. Rhett undoubtedly had a big year, releasing his second studio album, “Tangled Up”, teaming up with Brett Eldredge for “CMT on Tour: Suits & Boots Tour”, and TWO number one singles! Rhett is currently touring with Jason Aldean on his “We Were Here Tour.” His third single off his sophomore album, “T-Shirt” is currently making its way up the charts and has the biggest gain in digital sales this week according to Billboard! 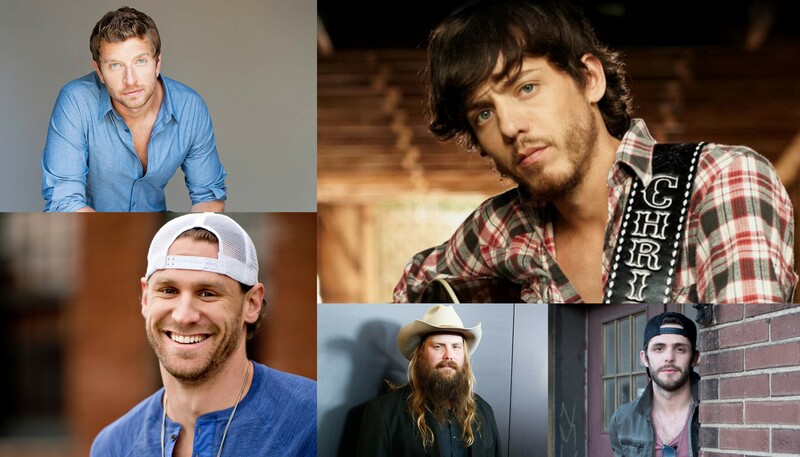 Although this year’s ‘New Male Artist’ category is not fan voted, we want you to vote for your favorite right here! Be sure to tune into CBS on Sunday April 3rd to see who the lucky winner is! This article was written in collaboration with Country Heartbeat Blog and Variety Beat. 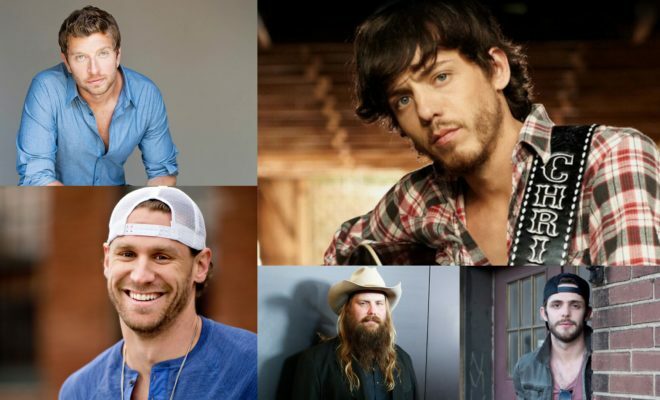 Next Story → 2 More ACM Performers And Collaboration Announced! Michael Jackson’s Hologram Performs at The Billboard Music Awards! Chiodos Leave Crowd Surf America Tour! Imagine Dragons Smoke + Mirrors Tour Review! The Summer Set Prank Bowling For Soup!